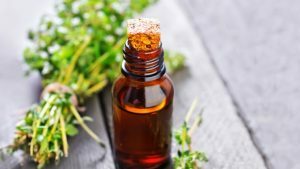 If you watch TV, read the newspaper, or flip through magazines, you can’t help knowing about essential oils, and their various healing properties. You probably know that essential oils can help relieve cold and flu symptoms, headaches and muscle pain. You’ve also heard they can strengthen your immune system, help you to relax, and even reverse some of the visible signs of aging. But what doesn’t get talked about quite as much is how some essential oils are great snoring remedies. First of all, it’s easy. 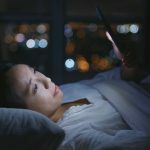 All you have to do is put an essential oil in a diffuser, turn it on, and go to bed. As you sleep, the essential oil will fill your bedroom, alleviating the underlying causes of your snoring. You can use essential oils with other anti-snoring remedies. 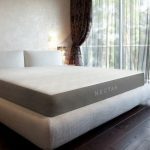 So you don’t have to stop using your anti-snore pillow, or anti-snoring mouthpiece, just because you’ve started using essential oils. Instead, you can use them both, and get the benefits of using two snoring remedies at the same time. 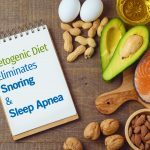 Not only can essential oils help alleviate (or even eliminate) your snoring, but you’ll also enjoy the other health benefits these organic compounds have to offer. So what makes some essential oils such great remedies for snoring? Read on to find out. There are dozens of essential oils on the market, each with its own set of healing properties. And some of these essential oils can decrease or even eliminate your snoring by treating the most common underlying causes, like congestion and narrowed air passages. But what is an essential oil exactly? 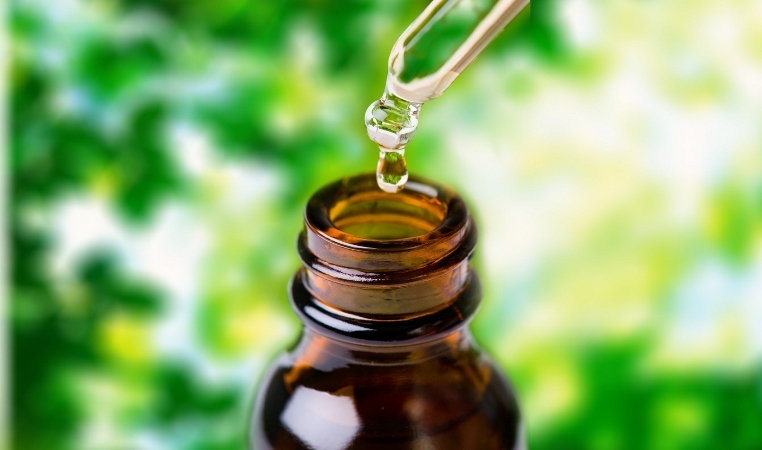 An essential oil is a highly concentrated, organic compound that’s been extracted from a plant. These compounds can come from a plant’s flowers, leaves, roots, seeds, stems, wood, peel, fruit, or even bark. What makes a compound “essential” is that it retains the “essence” (i.e. the taste and smell) of the plant it has been extracted from. The most common extraction method is distillation using steam or water. Other extraction methods include cold pressing, resin tapping, and expression. For thousands of years, and throughout countless cultures, essential oils have been used in health and beauty treatments. And in modern times, the use of essential oils has grown in popularity, especially as we lean more towards using natural, organic remedies for common ailments. In aromatherapy, a popular form of alternative medicine, essential oils are commonly used to treat physical, mental and emotional problems. And even traditional medicine has started to acknowledge the benefits of essential oils. In fact, some hospitals have used them to treat patients suffering from anxiety, pain, depression and infection. Walk through any grocery or department store and you’ll find products that contain essential oils, including cosmetics, perfume, and soap. Essential oils are also used to add flavor to certain foods and beverages. Some household cleaners contain essential oils too. And, considering how good essential oils smell, it’s no surprise they are often used in air freshener and incense. And do you want to make your own health, beauty or cleaning products? Well, you can use essential oils to make homemade shampoo, lip balm, and even bug spray. For the most part, essential oils are considered safe to inhale, or apply to the skin. But they are extremely concentrated compounds, and just one drop can be pretty powerful. That’s why carrier oils are usually combined with essential oils. This makes them a little less potent, but still effective. As with everything, you should take care when using essential oils. If you’re pregnant, there are some you should avoid. If you are pregnant or breastfeeding, taking prescription medications, or suffer from a serious medical condition (like high blood pressure or epilepsy), talk to your doctor before using any specific essential oil. If you intend to apply an essential oil to your skin, test it on a very small patch first. That way, you’ll be able to see how your skin reacts before you apply the essential oil to a larger area. There are a lot of essential oils out there, each with its own healing properties and health benefits. But which ones treat the underlying causes of snoring? 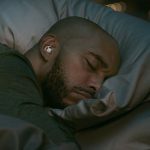 Four of the best essential oils for snoring are eucalyptus essential oil, peppermint essential oil, marjoram essential oil, and thyme essential oil. Any of these essential oils can help decrease the frequency and intensity of your snoring. They might even stop you from snoring altogether. In fact, it’s so good at relieving nasal and chest congestion that it’s used in many cold and flu remedies. Peppermint is one of the most well-known and widely used of the essential oils. And you’ll find peppermint in everything from lotion and vapor rub, to mouthwash and bubble gum. 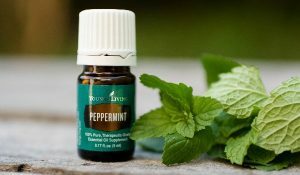 Most people are familiar with the cool, refreshing scent and taste of peppermint. But many don’t know all of the healing properties of peppermint. Sooth sore and aching muscles. If you’re feeling tired, breathing in peppermint essential oil will give you an energy boost. It will also make you more alert, and improve your ability to focus on a task. Peppermint essential oil can sting if it gets into your eyes, so make sure you wash your hands thoroughly after using it. Pregnant women should avoid using peppermint essential oil altogether. Eucalyptus is a natural decongestant, and can open up your airway and nasal passages so you can breather more easily. Eucalyptus can also clear up any mucus in the nose, which can also help alleviate snoring. Eucalyptus essential oil has many healing properties. Relieve respiratory problems, like allergies, bronchitis and sinusitis. Act as a natural diuretic. Eucalyptus is most known for its cooling properties. That’s why it’s found in so many products made to relieve sore, aching muscles. And eucalyptus can also enhance your concentration. So if you’re working on an important project, breathing in eucalyptus essential oil will improve your ability to focus. 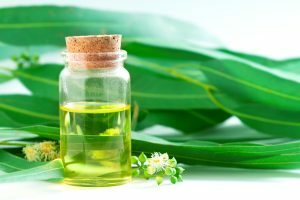 You should avoid eucalyptus essential oil if you are pregnant or breastfeeding, suffer from a medical condition like epilepsy, or are taking medications like blood thinners. As we know, snoring is often caused by a narrow airway. And marjoram essential oil is great for opening up those air passages. But marjoram’s healing properties don’t stop there. Alleviate digestive problems, like cramps and constipation. Alleviate the symptoms of respiratory ailments like sinusitis and asthma. Relieve headaches, fatigue, depression and insomnia. Marjoram essential oil is pretty powerful, and is an effective remedy for one of the most common causes of snoring. However, women who are pregnant should avoid marjoram essential oil. Thyme essential oil is known for its ability to improve your muscular health, your joints, and your immune system. Thyme can also improve respiratory wellness, which is what makes it such a good essential oil for snorers. Women who are pregnant should avoid thyme essential oil. 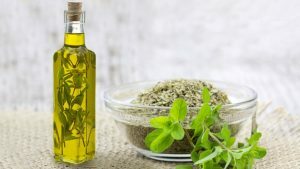 You also shouldn’t use thyme if you suffer from a medical condition like high blood pressure, or are taking blood thinners or other medications. The four essential oil above are among the best when it comes to treating the underlying causes of snoring. But there are other essential oils that can help a snorer (and their partner) get a better night’s sleep. And two of them are among the most popular on the market. Lavender essential oil is best known for its calming and relaxing properties. Lavender has mild sedative and antidepressant properties that can help you relax and de-stress, so you’ll sleep better at night. Lavender is also effective against cold and flu symptoms like congestion (which, as we know, can cause snoring). And if you suffer from migraine headaches, lavender can help to ease your pain. Lemon essential oil is also a good remedy for cold and flu symptoms. And, of course, lemon is everywhere. In foods and beverages. In beauty products. And even in household cleaners. Lemon essential oil can relieve headaches, improve your concentration, boost your immune system, and give you a burst of energy when you’re fatigued. 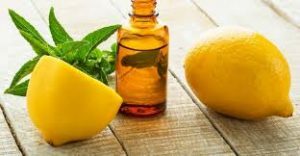 Lemon essential oil can also reduce fever and relieve headaches. Other essential oils that are good for snorers include pine essential oil, fennel essential oil, sage essential oil, and citronella essential oil. If you snore, one of the best ways for you to get the benefits of an essential oil is by using a diffuser. And while there are many types of diffusers on the market, using an electric-powered diffuser has several advantages. One is that many electric diffusers have a timer. That means you can program them to turn off after an amount of time you specify. This will not only save energy, it will also help your essential oils last longer. 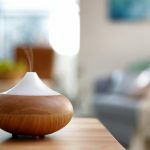 Electric diffusers also do a better job of distributing an essential oil throughout a room. And, if you’re using an essential oil to alleviate snoring, you want it to spread to every corner of your bedroom. There are several different types of essential oil diffusion. For example, there are ultrasonic diffusers, which use vibration to get the job done. These diffusers emit a fine mist that spreads throughout a room. 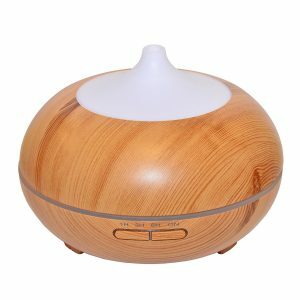 Since most ultrasonic diffusers don’t use heat, they are sometimes called cold mist diffusers. Evaporative oil diffusers don’t typically use heat either. Instead, the essential oil is distributed by air. The air is blown into a room by a fan, usually one designed to be quiet enough not to disturb your sleep. There are also heat diffusers. And the most common form of heat diffusion uses aromatherapy candles. In fact, you’ve probably bought such candles for yourself, or received them as gifts. Candles imbued with essential oils have their benefits. But they also have their drawbacks, especially if you’re using essential oils to prevent or decrease snoring. For one, it’s not safe to leave a candle unattended. You certainly wouldn’t want to go to sleep with a candle burning in your bedroom. And a candle won’t be able to distribute the essential oil throughout a room the way an electric diffuser can. Also, part of what you love about essential oils might be the way they smell. But the smell of a candle’s wick and wax burning will often overpower the scent of the essential oil in the candle. Still, essential oil candles are good for some occasions. For example, burning a lemon aromatherapy candle at your dinner party will help put everyone in a good mood. And burning a lavender aromatherapy candle in the bathroom will help make your bath even more relaxing. If you snore, one of the easiest things you can do to find relief is to use essential oils. Just choose an essential oil that’s good for snoring. About 15 to 30 minutes before you go to bed, add your essential oil to a diffuser and turn it on. 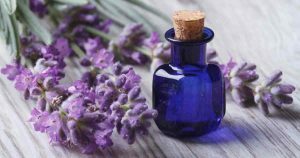 By the time you turn in, the essential oil will have filled your bedroom, and will be ready to go to work on the underlying causes of your snoring. Not only will this help with your snoring, you’ll also benefit from your chosen essential oil’s other healing properties. And, as an added bonus, your bedroom will smell great too.